The ibis Paris Orly Rungis hotel is located in the delta hotel district, 5 minutes from Orly airport and with a free airport shuttle. The hotel is close to Rungis market, the Orly-Rungis SILIC business center and Jean Monnet convention center. 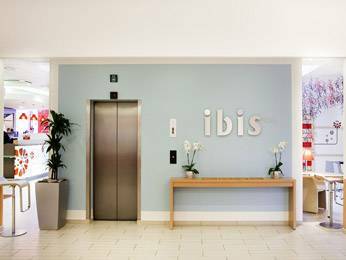 The 3-star ibis Paris Orly Rungis hotel offers rooms with A/C (renovated in 2014), an ibis Kitchen restaurant, bar, round-the-clock snacks, terrace and paid private car park. The hotel offers 2 conference rooms for your meetings. The ibis Rungis and its staff have gained a lot of experience with arranging meetings, conferences, trainings and all sorts of events. Offering conference facilities including 5 meeting rooms the hotel has been used as a conference hotel in Rungis on a regular basis. Please also have a look at the other conference hotels in Rungis which we are proud to present to you.